Relive the past, meet the present. Two battlefields in the Anglo-Zulu War of 1879: Isandlwana is the site of the defeat of the British by the Zulu nation, and Rorke's Drift is the battleground where British forces held off innumerable Zulu attackers and 11 Victoria Crosses were awarded. The wind here still echoes with the cries of battle. Our specialist battlefields guide has all the facts for you. 2019 PRICES: R2000 for 1-6 people. Includes pick up/drop off in Dundee area and services of a battlefields guide. Excludes entry fees and lunch. Spioenkop is known by some as the “acre of massacre”. On the 23 January 1900, with ongoing pressure to relieve the Ladysmith garrison, Gen. Sir Redvers Buller placed his forces under the control of Lt. Gen. Sir Charles Warren. Warren made a decisive assault on the highest point of the Boer defences known as Spioenkop. This decision was seen as one of the greatest blunders of the Second Boer War and both the Imperial and Boer forces suffered great losses. "Sawubona" is the stately greeting of a tribal leader related to King Shaka, the greatest leader of the Zulu nation. Likewise, though no longer warriors of Southern Africa, this dignified people group hold on to their rich heritage living in traditional homesteads. ​This tour takes you into the remoter parts of Zululand with an interpreter to meet and experience the way of life of a wonderful people group. 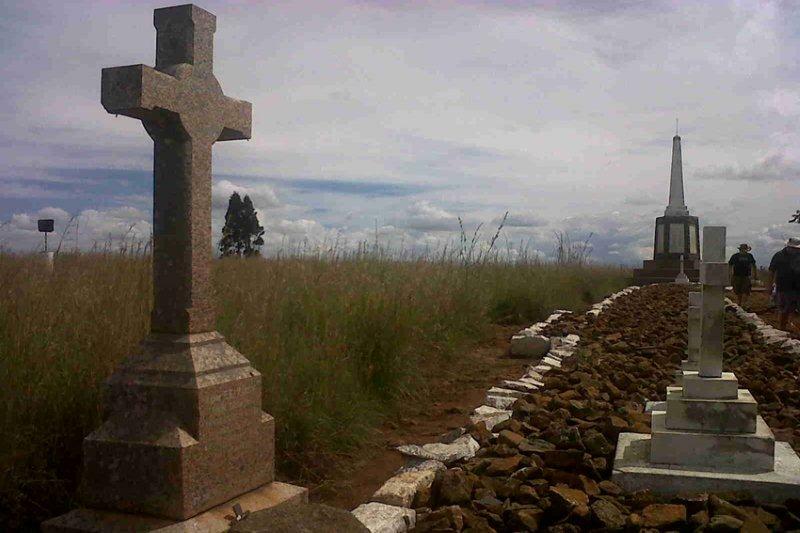 The battle of Talana Hill was the first major clash of the Second Anglo-Boer War in 1899. A frontal attack by defending British infantry supported by artillery drove Boers from a hilltop position in Dundee, but the British suffered heavy casualties including their commanding general Sir William Penn-Symons. Walk the fields and relive the attacks with a guide who has researched the battles and is passionate about history.